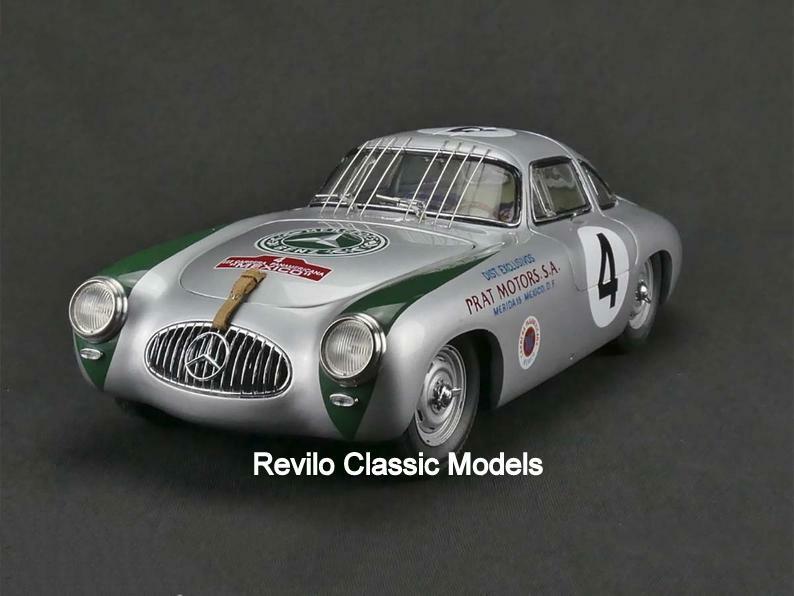 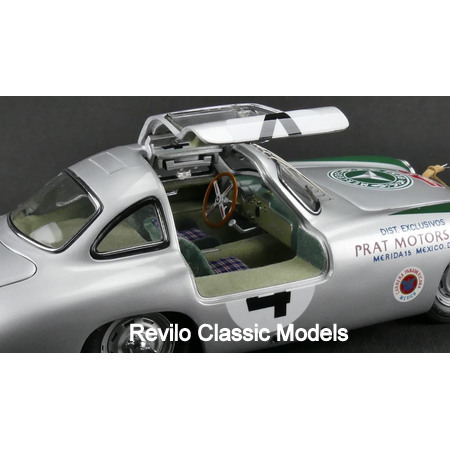 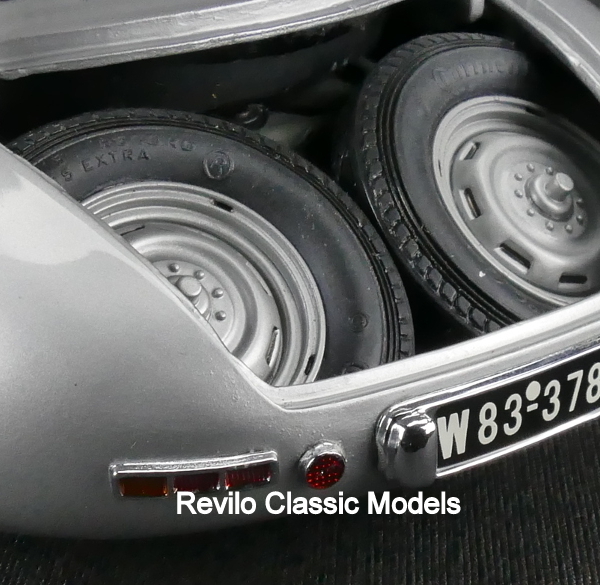 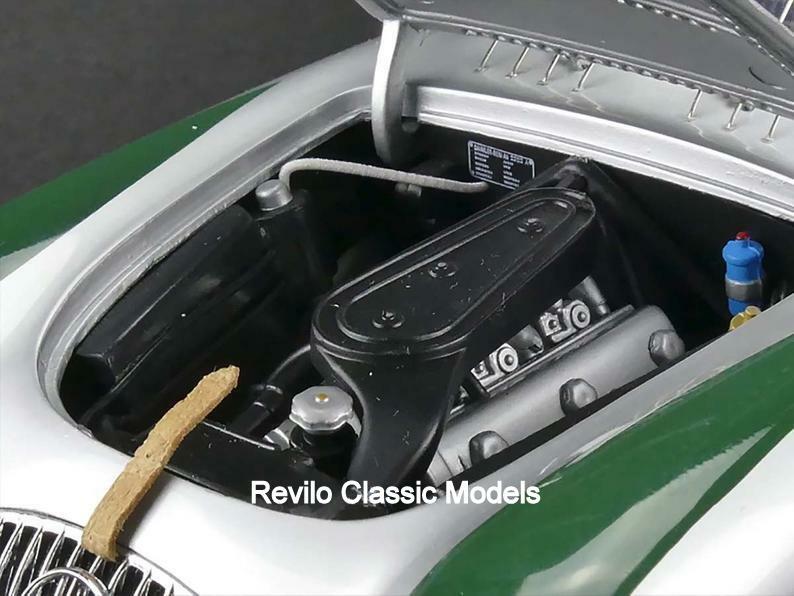 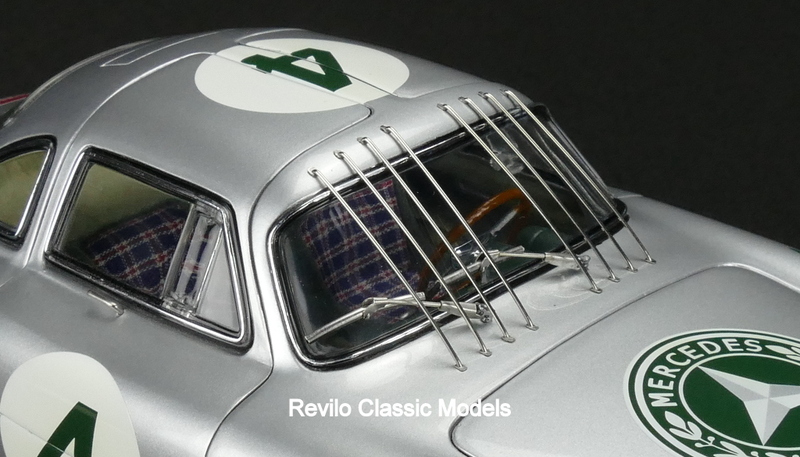 Fabulously detailed model by CMC with opening gullwing doors,bonnet (with leather straps) and boot (with two spare wheels). 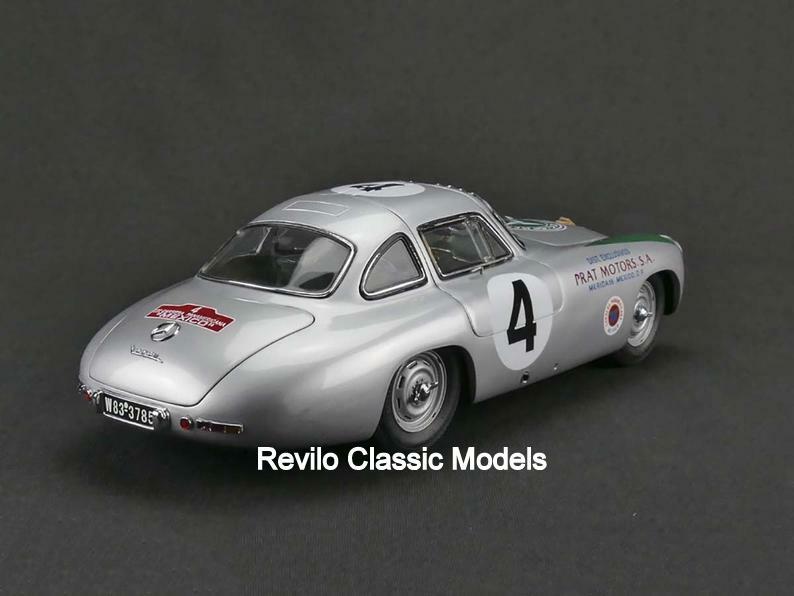 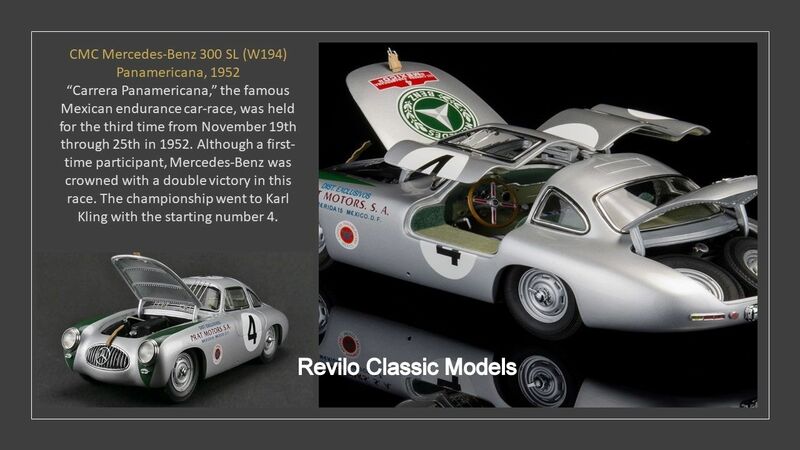 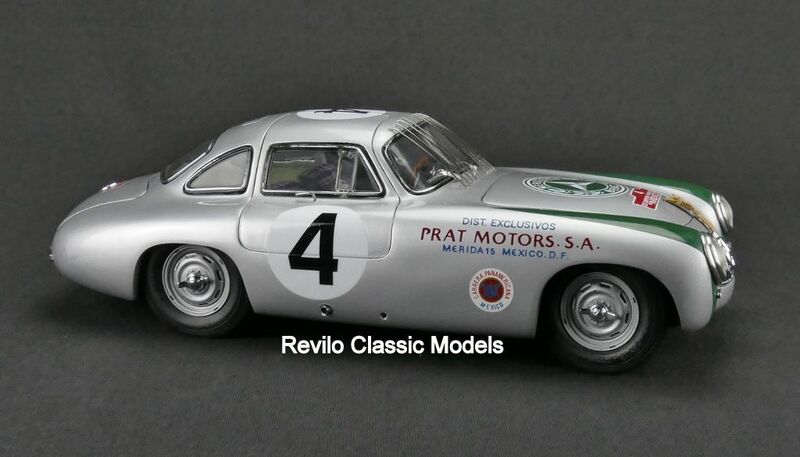 It has all the correct decals and additional proctective items, including metal windscreen bars to protect it from birds and animals, needed for the gruelling Panamericana race. 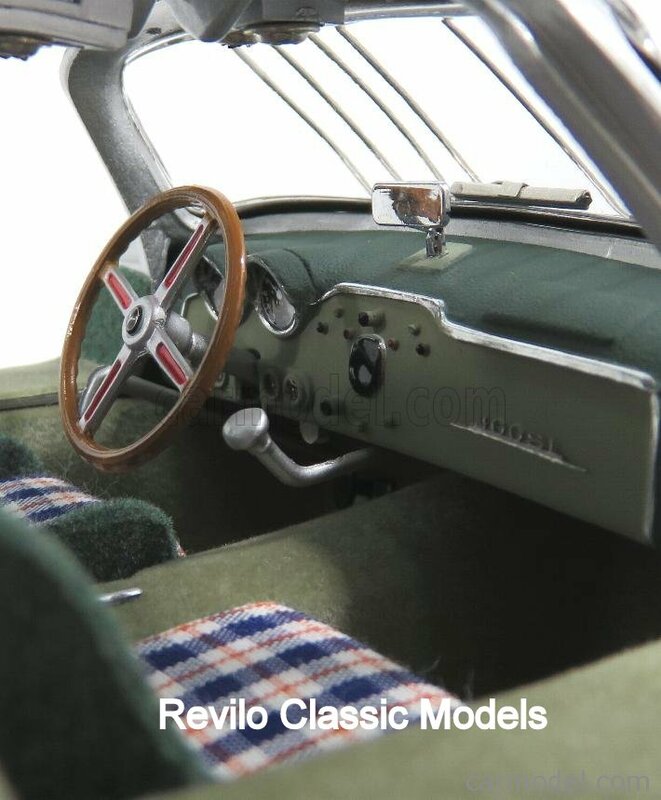 The model is new and comes with it’s original packaging and red leather box.